Hannah @ Pt England School: My 2 little sisters! This is my sister Sachi. I have two sisters so she's the youngest. Sachi is very kind and sometimes has a lot of attitude. Sachi has traveled around the world to some pretty cool places. She has been to Australia, America and other special places around the country. Seili is the sporty sister. 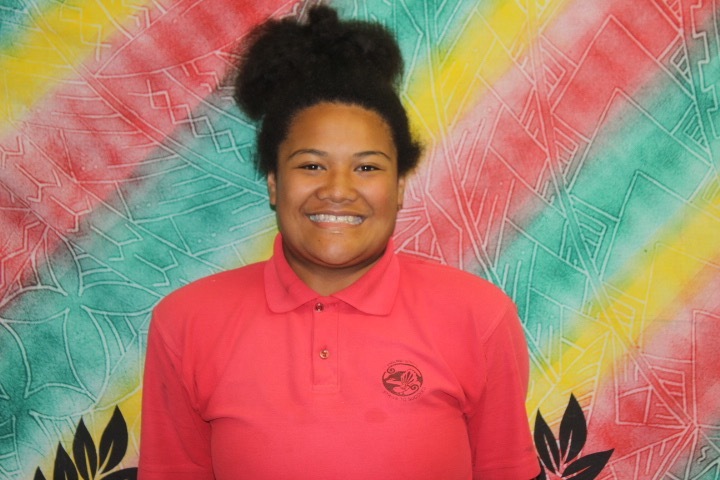 She plays touch, rippa rugby, netball and other sports. Seili is the middle sister, and can sometimes be just a little bit bossy. Seili and Sachi always argue and that's when I come in as the big sister. Seili lives in Christchurch, so Sachi and I don't really get to see her that much. It makes me sad sometimes because i wish we could all be close together. Then theres me. I'm the oldest. I love being the oldest because i get to boss my little sisters around haha. I also like being the oldest because I know that if I ever needed anything that my sisters will always be there. So thats us the 3 amigos, I love my sisters. What about you? Are are you the oldest, middle or the youngest? This is Hannah T signing out- bye! I really like and love the post you have posted on your blog. Your 2 young sister's look just like you I really hope you have enjoyed your holidays with your family.Have a great day!!!!!!!!. Hi Mua. Thanks for commenting on my blog!